In the fall, we cleanse to build the body, to ease our transition into the winter, to boost our immune system function, to enhance our vitality and to strengthen our digestion. According to Ayurveda, the sense of taste is very important and is a natural guide towards proper nutrition. When we include the sweet, salty, sour, pungent and astringent tastes in a natural, whole food meal, the body gets fully nourished. It feels satisfied, so cravings diminish. Most importantly, you build healthy tissue, increase energy, strengthen the immune system, feel light and comfortable in your body, and more clear and concentrated in your mind. Nature’s nourishing and self-regulating intelligence is conveyed to us through food. Each taste of nature’s gift expresses a different example of this intelligence. The Sweet taste gives us comfort, strength, fortitude. Salty gives stability, lubrication, protection, and helps us “taste” life. Sour gives clarity, courage and the power of digestion. Pungent adds spice to life and increases metabolism. Astringent helps us pull it together, focus, extract the essential from food and the essence from life. Finally, Bitter gives expansion, helping us let go, release, detoxify, purify. When you eat a meal balanced with all six tastes, you feel peace, the peace of all natures intelligence harmonized within you. We need to taste our way to wellness, remembering optimal health is really never more than six flavors away! Here at Santa Cruz Ayurveda we are always excited to teach you more about Ayurveda! 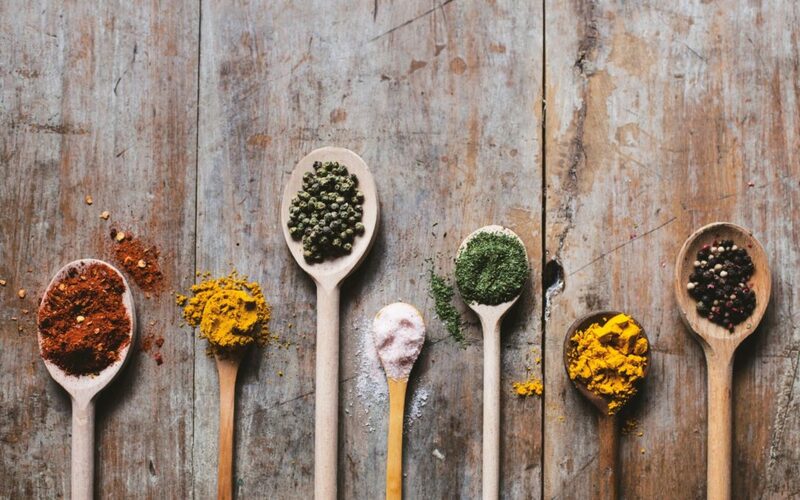 Please join us for our next workshop, “Ayurvedic Cooking Series #2” to learn how to prepare foods that are healthy for your gut (more info below). We also offer individual consultations to provide personalized diet, lifestyle and herbal recommendations for optimal health. Visit our website, email, or call us if you have any questions we are happy to hear from you.